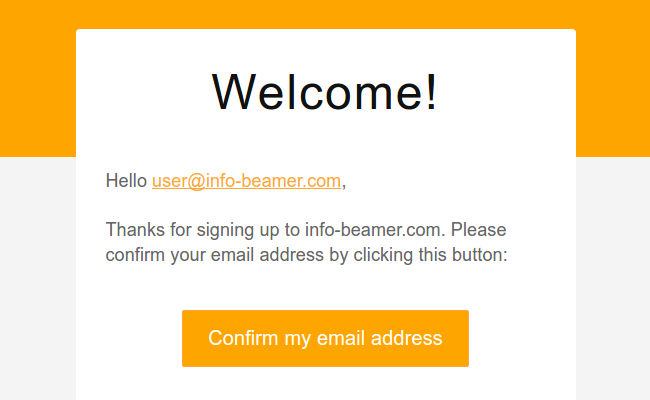 The info-beamer hosted website is constantly being improved. Often changes are not visible unless you search for them. This blog post summarizes what happend recently. Recently the way you add assets to a list has been improved to make it easier to find and select multiple assets. 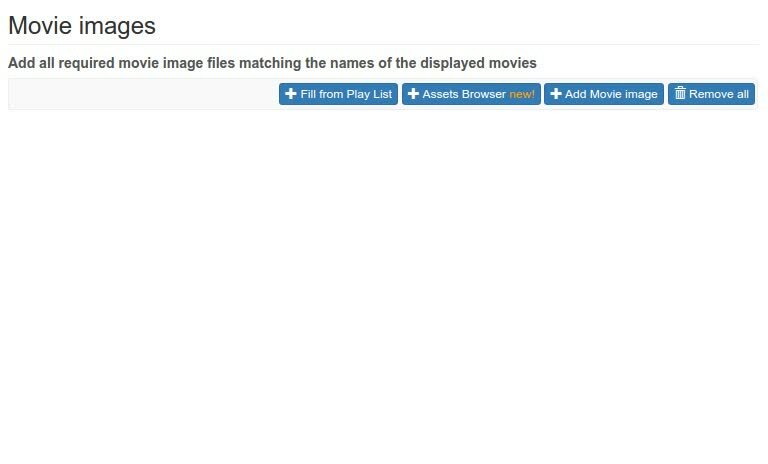 Any list with assets now automatically gets a new button named Asset Browser. Once opened it allows you to quickly add assets to a list by simply clicking on their thumbnail images. If you have a lot of assets you can use the search field to quickly find your assets. info-beamer hosted can pull from git repositories. 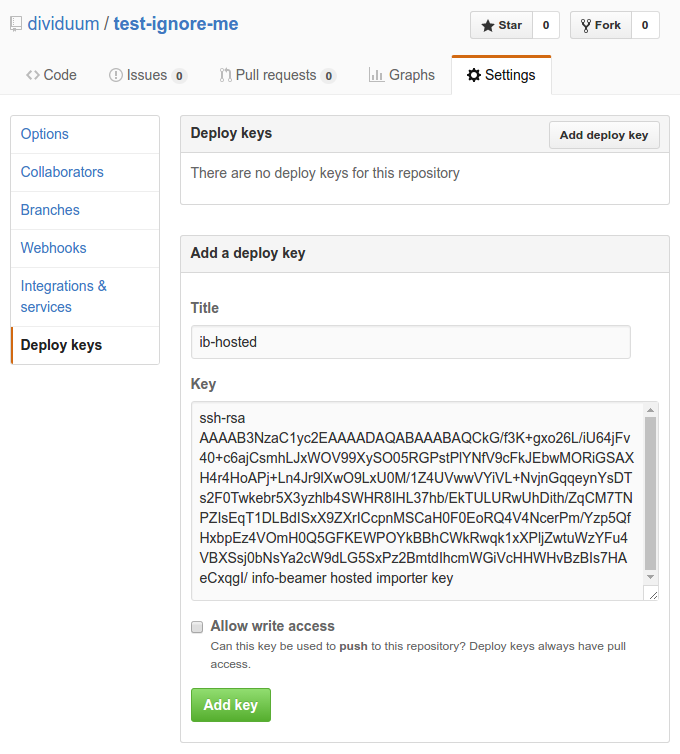 This makes it easy to host your package on (for example) github. If you made changes to your repository you manually had to click the Check for updates button on the package page to import those changes. This got a lot easier now. 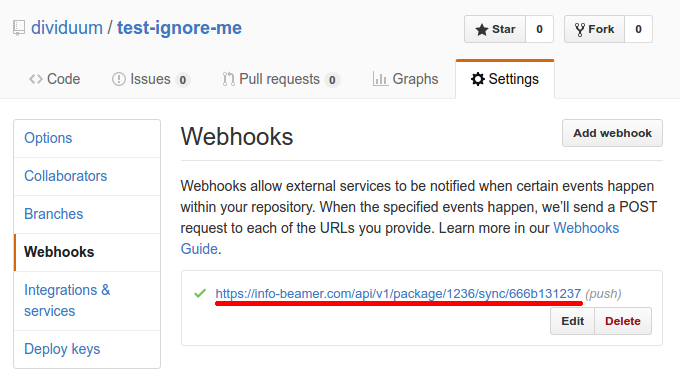 Each info-beamer package in your account now has a webhook Url you can use to automatically trigger an import. All git hosting providers have the ability to configure webhooks which will automatically send an HTTP request to the Url of your choice. Combined this makes your workflow much easier as you now just have to push your changes to your git hosting provider and info-beamer hosted will be notified and will pull those changes and import them. info-beamer hosted can now use the SSH transport method with a known public key. This allows you to import packages from non-public repositories as long as you add the info-beamer public key as a deployment key. Markdown is now supported in addition to the existing creole format for package documentation. It doesn't offer any immediate advantages other than being more used and better known by a lot of developers already. Just create an README.md file instead of README.creole and info-beamer hosted will use its content to render package documentation pages. It got a lot easier to import packages from other users into your account. All you have to do is click a button and confirm the import. You can try this on the HD player package page. See this button there? Try to click it. 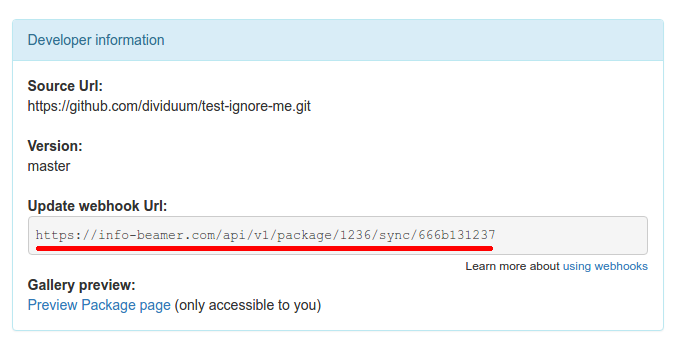 If you click on Import on the page you see, the package will be imported into your account and you can start using it. Just replace PACKAGE_URL with the Url of your package, just as you would specify it while adding a package manually to your account. You can also add that markup to the README.md file that info-beamer hosted will use and the button will be removed in the documentation shown on info-beamer.com: Here is how the button is added to the README.md file on github, this is what the result looks like and here is the package page on info-beamer.com. Be sure that you manually import the package at least once into your own account. Otherwise info-beamer hosted will refuse to import the package through the new Single Click import button. The mails also include a text/plain part to ensure they are still readable for mail readers that don't support HTML. Feedback about the new emails is welcome. All packages provide their configuration options in a file called node.json. The info-beamer website will then render a configuration interface for those options. A new device option makes it easier to select a device. Instead of manually copying the device serial number your users can now simply select any of their devices from a drop down menu. The generated config file will include the serial number of the selected device. The pricing section for hosted should make it a bit clearer now how pricing works. It also hopefully better explains how discounts are a result of purchasing larger quantities of info-beamer credits.